For almost 300 years, history has placed the women of the Foundling Hospital as a footnote in the story. Now, the Museum is redressing this balance by bringing these overlooked stories to the fore. This autumn, for the first time, visitors to the Foundling Museum will have an opportunity to discover portraits and stories of the remarkable women who supported the establishment and running of London’s Foundling Hospital with a radical re-hanging of the Museum’s Picture Gallery. 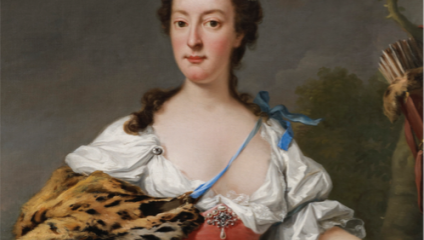 In this exhibition, the Museum brings together portraits of the ‘ladies of quality and distinction’ who signed Thomas Coram’s original petition to King George II in 1735, calling for the establishment of a Foundling Hospital. Hung together for the first time, these paintings will temporarily replace the portraits of male governors that line the walls of the Museum’s Picture Gallery, reuniting the Ladies on the site of the charity they helped establish. Included are magnificent court portraits by leading eighteenth-century painters William Hogarth and Godfrey Kneller. Downstairs in the Museum’s exhibition gallery, the lives of the women who supported the day-to-day running of the institution will also be brought to life. Visit today to see this radical transformation of one of London's hidden gems.